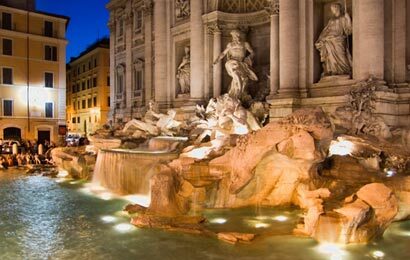 After dinner walking tour which allows to explore Rome by night. Romans eat out late and Rome's squares and cobbled stone streets are full of life untill very late. Campo dei Fiori, Navona Square and iluminated Trevi Fountain.